My hobbies include learning guitar (cough) and just hanging around in the woods listening and looking at nature thingies. Mostly keeping an eye on my jumping peeps and making sure they are as safe as they can be. 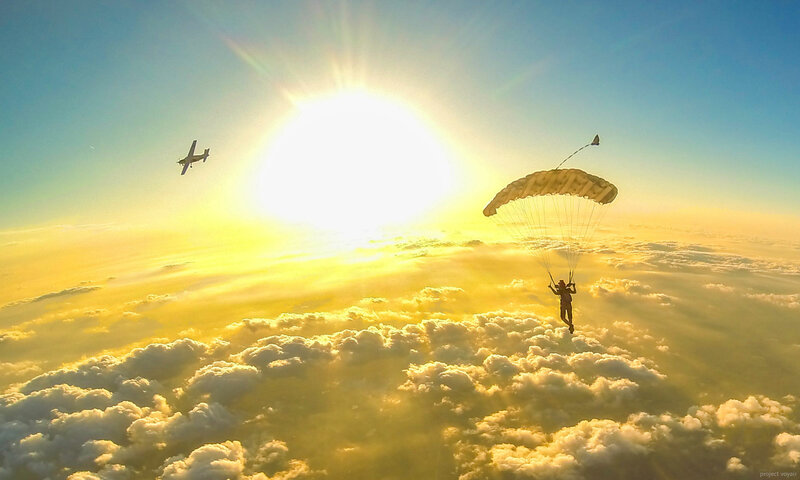 Skydiving: Favorite Part: That cloth and a sewing machine make all this fun possible. The gear.